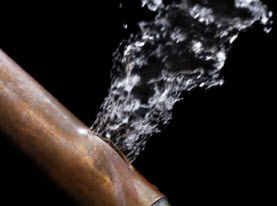 The use of polybutylene piping in your home’s water supply is not ideal. Though most modern homes are not equipped with this piping, many homes built in past decades could have easily constructed with the polybutylene piping. Today, we at Randall’s Plumbing would like to discuss the problem with polybutylene piping in your in Lebanon, MO home. As a commonly utilized option in homes built from late-70s to the mid-90s for the residential water supply, polybutylene piping, often known as PB, is not unheard of in older homes. As a more cost-effective option the PB was also easily installed at the time as many believed it to be a higher quality product. Being labeled defective from manufacturers, or it being poorly installed, thousands as the ruptured pipes resulting in water damage, cost hundreds of millions of dollars in repairs and by the 1980s, lawsuit claims were filed. For just under a billion dollars to settle homeowner claims manufacturers agreed to fund a class action settlement eventually, although they would never acknowledge the defectiveness of the PB piping. The filing claim came to a close in 2007. Although the exact cause remains elusive, most experts think that the flaking, which resulted in the brittleness and eventual compromised integrity was due to the chlorine or other oxidants in public water systems negatively reacting with the plastic. Tiny fractures developed and over time with the constant expanding, caused the severe water damage when the compromised pipe suddenly failed. Because of this issue, we encourage homeowners to have their piping inspected by a professional. Though we strongly recommend you hire a professional plumber, there are a few ways you can see for yourself. Look for flexible gray pipes that have copper-color band connections and check for flexible gray pipes. The piping often extends into the cabinetry; especially easy to spot in a mobile home. Though the PB piping is often gray, it can also be a blue or black color. Additionally, the marking “PB2110” will be stamped on it and the pipe itself is ½” to 1” in diameter. In a site built home, first look where the pipe feeds coming out of the wall to the water heater. The copper rings around the connections and the marking will be an indicator. Keep in mind these pipes easily collect dust so you may have to wipe away the dust to see which color the pipes are. The PB piping can also be discovered behind the shut-off valve, around sinks and toilets, as well as covered up by a chrome escutcheon ring. Fortunately, drain piping is rarely ever used with PB. If you have a professional confirm the finding of polybutylene piping, the only course of action is replacing the water supply’s piping. For an average home, this can cost between $4,000 to $5,000. In some worse case scenarios higher denial of coverage or an extremely high deductible can be experienced with homeowner’s insurance as well. Not only PB piping but other common brands of pex style pipes are being found to have similar issues. 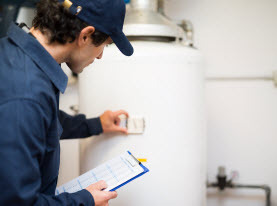 In order to spare yourself from impending problems, your Randall’s Plumbing professional master plumber can inspect for PB piping and determine the best resolve. 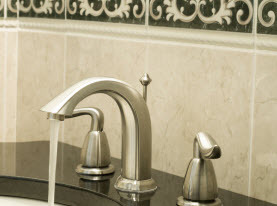 Call us today to inspect your Greater Lebanon, MO home to help avoid plumbing problems now and in the future.